Udaipur, also known as lake city or Venice of the East or Kashmir of Rajasthan. The city is in the western Indian state of Rajasthan. Udaipur is basically known for its beautiful lakes, palaces, forts and gardens. Udaipur is one of the charming cities in state Rajasthan. Various things to do in Udaipur that will gives you some lifetime memories to remember. Entertain yourself in nature’s photography at Saheliyo Ki Bari : The garden was built by Maharana Sangram Singh. Saheliyon-Ki-Bari or the Garden of the Maidens is a popular tourist destination. The garden is famous for museum and other several attractions like marble elephants, fountains and lush green backyard. Sunset boat Jaunt on Lake Pichola : It is and artificial freshwater lake. Picholi was the name of the village that gave its name to the lake. 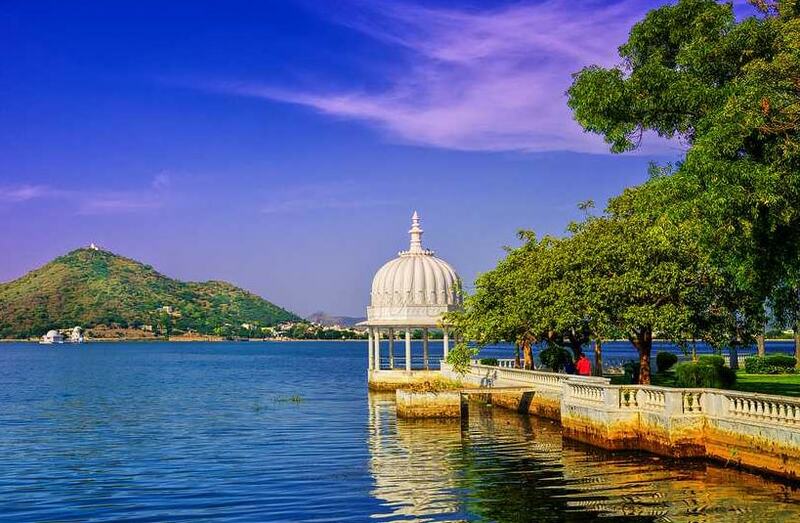 Lake pichola contains four islands named Jag Mandir, Mohan Mandir, Jag Niwas and Arsi Vilas. Take a boat jaunt around the lake during sunset, which gives you the most blissful and mesmerising experience. Explore Bagore ki Haveli : Bagore ki Haveli was built in the 18th century by Amar Chand Badwa, the prime minister of Mewar. It is situated at the Gangori Ghat. The palace has over a hundred rooms the display modern art. It is home to the various attractions like longest turban and gallery containing art pieces. Blessings of Karni Mata : Karni Mata is a temple devoted to the hindu goddess and it is located on the Machla Magra Hills in Udaipur. This Karni Mata temple attracts people from all around the world. A visit to the Karni Mata Temple fills your life with peace and blessings. Ride the Ropeway for enthralling views of City of Lakes : Riding the Ropeway will gives you the thrilling and exciting experience. The views of the city from ropeway are scenic. It is a must try thing in Udaipur to experience the adventurous thing in Udaipur. The best time to visit Udaipur is in Winter season and you can reach there by air, by train or by road. Enjoy your mesmerising holidays with family or friends in the city of lakes.